I guess we need our economists to go back to basics so they can understand Toronto’s real estate economy. This is a clear example of supply falling a great deal more than the increase in demand. 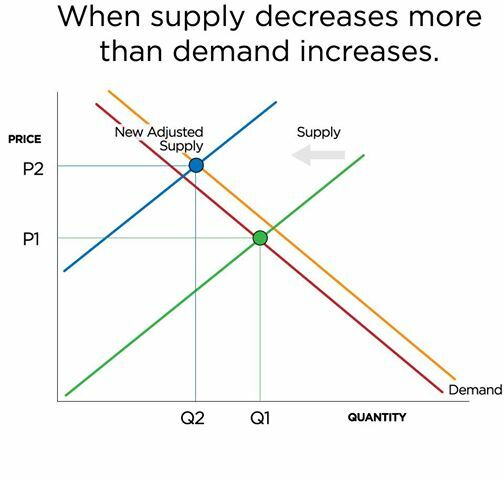 This phenomenon causes prices to rise dramatically. P1 represents price a year ago, P2 represents todays higher price. This clearly shows a supply side problem in the economic housing model for Toronto. We cannot blame foreign investors or speculators for this.